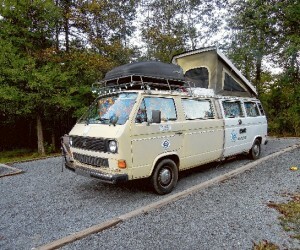 This is one of the most complete all terrain Vanagons we’ve seen. 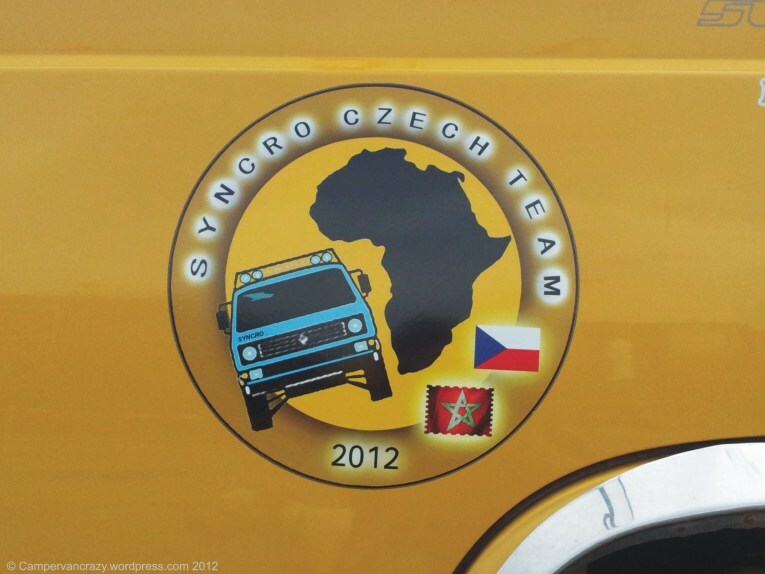 This one hails from the Czech Republic and was apparently built for a tour of Africa. Trying to list the mods and hacks on this one is a never ending adventure. Check out the horns mounted on the high top and the extra large size view mirrors. 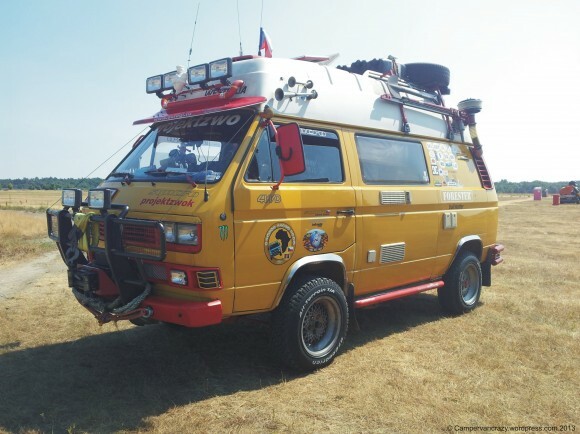 What about that massive front bumper with winch? It also looks like it has some kind of chimney exhaust coming out the rear. 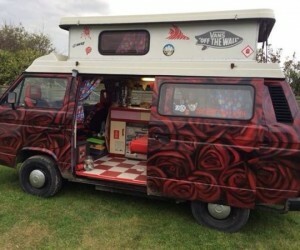 This is a Vanagon lover’s dream machine!